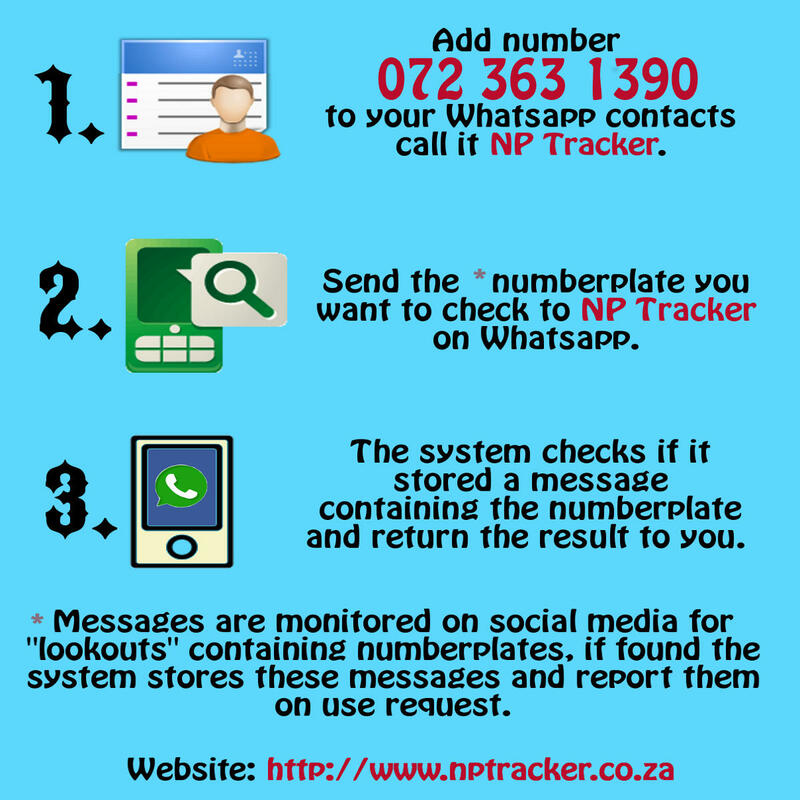 Throughout this guide there are a number of small-but-handy pieces of information that can make using NP Tracker easier, more interesting, and less hazardous. I added this to my contacts, NOW WHAT? Begin by sending a plate to lookup to this contact. Add our whatsapp scanBOT 081 389 4059 to your group(s) to start scanning and add lookouts of vehicles mentioned on your group.. The serviceBOT is the the BOT (short for ROBOT) that will reply to the enquiries you do ie. You can send the numberplates to lookup to these BOT's.